David Tennant was one of the guests stars who appeared with The Muppets at the O2 Arena in London on Friday 13th July. David performed in a Pigs In Space sketch. 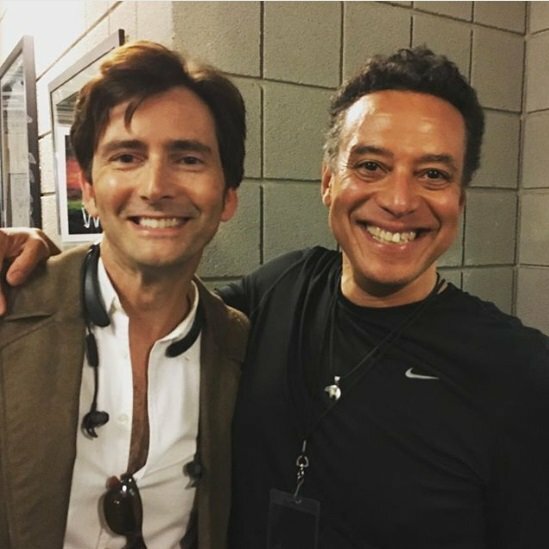 David's co-star in the Doctor Who episode Voyage Of The Damned, Kylie Minogue, also appeared with The Muppets at that show and David joined them on stage for a song. These were The Muppets first live shows outside the US. 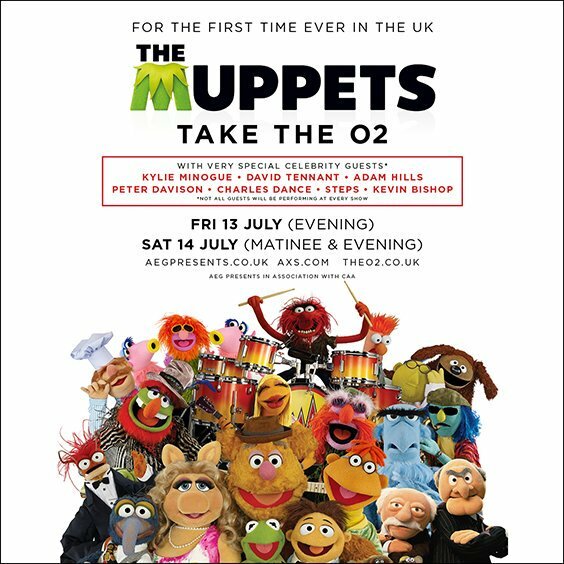 The Muppets performed at the O2 Arena at 8pm on Friday 13th July and at 2pm and at 8pm on Saturday 14th July. However David Tennant only appeared with The Muppets on Friday 13th July. The Fifth Doctor Peter Davison performed the sketch at both shows on Saturday 14th. Comedian Kevin Bishop and the band Steps performed on the Saturday. Link to purchase tickets for The Muppets. When David's appearance was first announced, the best seats available were in the 20th row at a cost of £120 each. Link to posts related to David Tennant with The Muppets on Blogger.com (usually with more details). David Tennant to appear with The Muppets at the O2 Arena this month.